Preparing for an exam? Looking for vocabulary lists? Preparing for graduate school or for college? All the words on this site are likely to found on standardized tests, including the SAT, ACT, and GRE, among others. 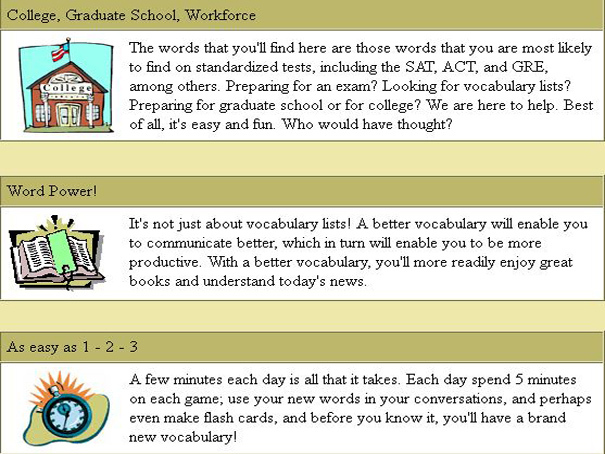 There are over 4,000 vocabulary words and you choose to view words according to difficulty. Enjoy both active games and hands-free games, where you just watch and learn.